Hello everyone! After a vacation break we return to our blogging routine filled with energy! One of the main reasons we created this blog (and also the inspiration behind the creation of the brand – Jinja) was to show and share various examples and ways to a more sustainable lifestyle. Sometimes it starts with small choices in the products we use in our day to day life and in our home, which can make a big difference. The last post we shared with you was about reusable coffee pods and this turn we’ll share two more products that contribute to a more eco friendly lifestyle. First off we would like to talk about the Luffa vegetable sponges. These are 100% natural and biodegradable and can easily replace synthetic ones. 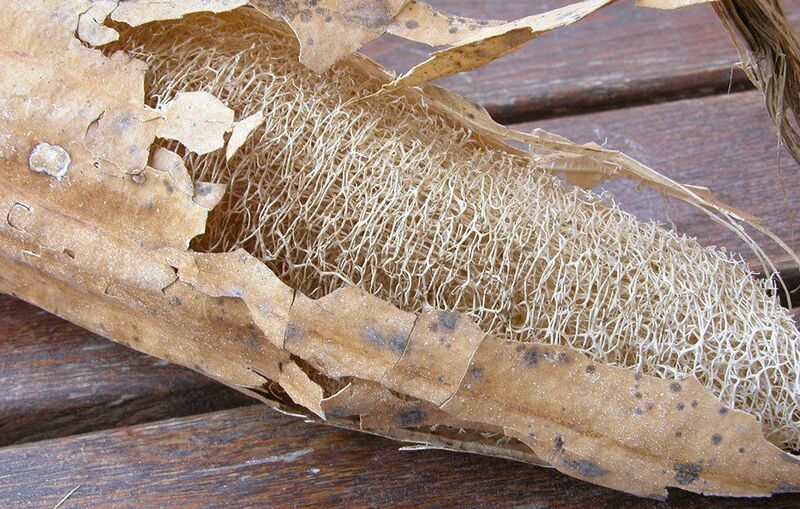 The luffa sponges have a life span of around 4 to 6 months, depending on its use. When we found out about these sponges our first question was: so where do they come from? 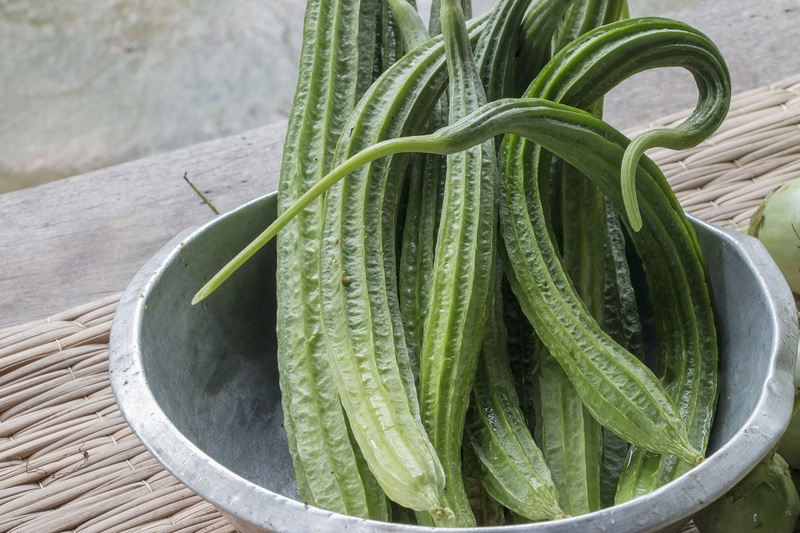 Indeed, they come the fruit of a vine type of plant called Luffa. To produce these sponges the fruit must only be picked when ripe. This allows the fibers inside to strengthen. The fruit will be ready to be picked when it turns into a brownish yellow tone, however if picked before that it can be eaten and used in lot of ways (just like courgette our pumpkin). For the process of making the sponges they are picked when ripe and then air dried for a certain amount of time and then peeled for their inside fibers. The vegetable’s main use is the production of natural sponges, either for the household or used in the making of hats, shoes or beach products. 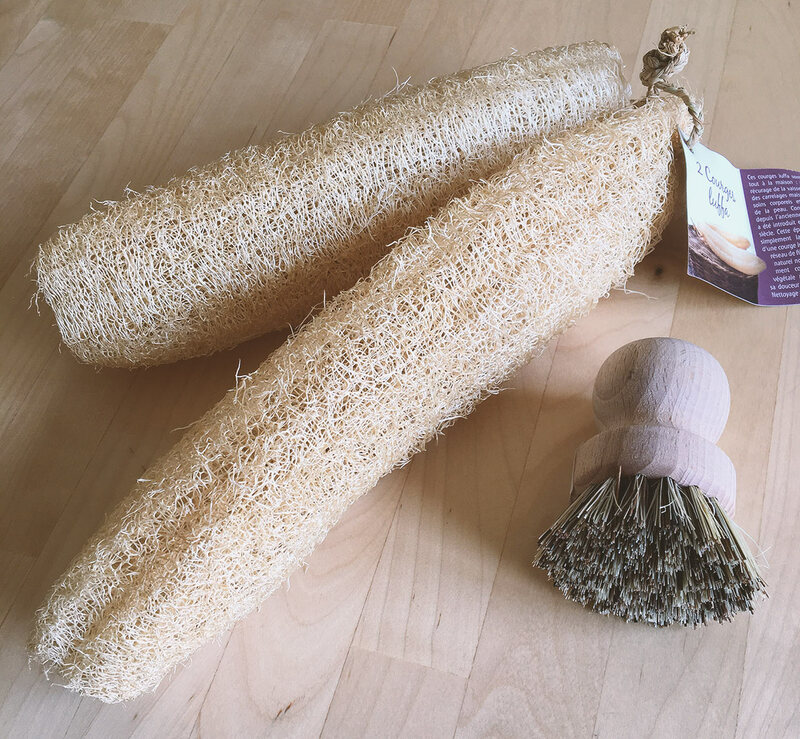 Considering shower sponges aren’t one of our basic needs (our hands can do the job) the use we give to these at home is mainly in the kitchen. The sponge can be cut to fit your needs and we have cut with 12 cm length, approximately what a standard synthetic sponge size is. After each use, you should clean it thoroughly and let it air dry in a non humid place. 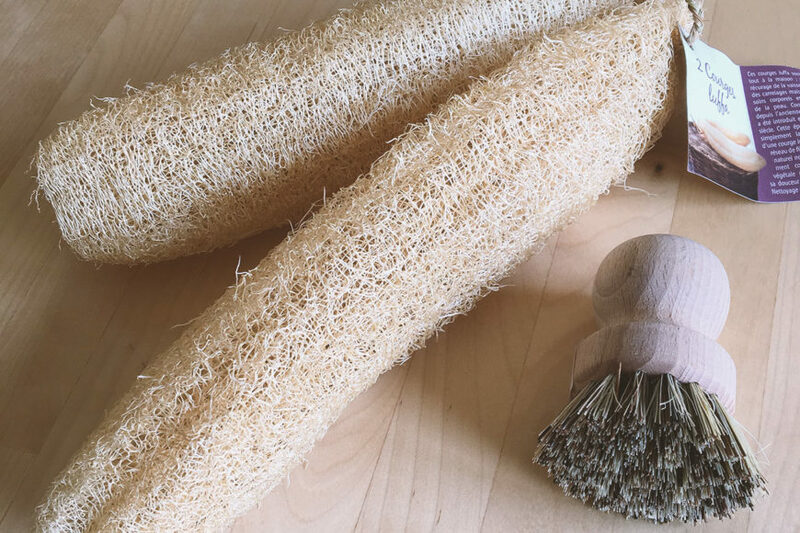 Following the ‘steps’ of the luffa sponges and also made of natural fibers, the next product we’d like to talk to you about is pot brushes. 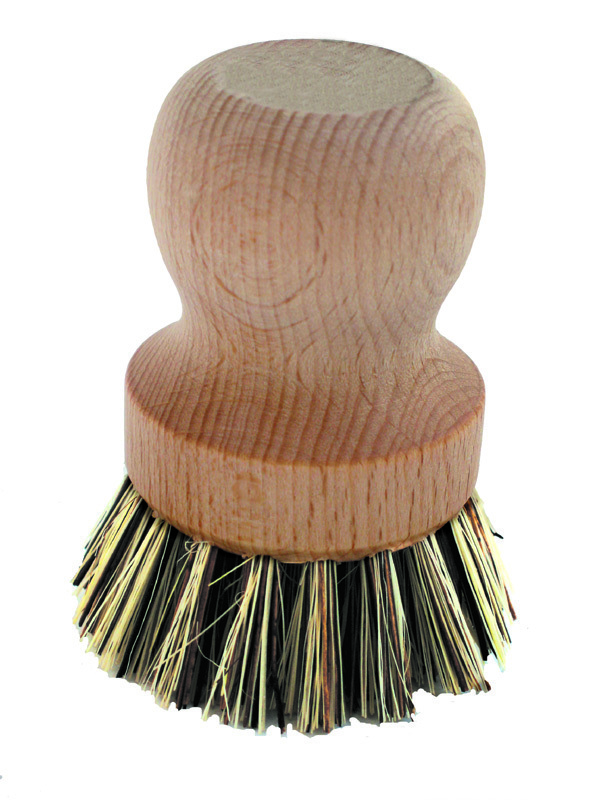 The ergonomic handle is made of wood and the brush of natural fibers. The wood originates from forests under the FSC certificate (an international non profit organization that promote responsible management of the world’s forests). These brushes can also easily replace the plastic ones or even the inox sponge for cleaning pots or remove stubborn dirt. 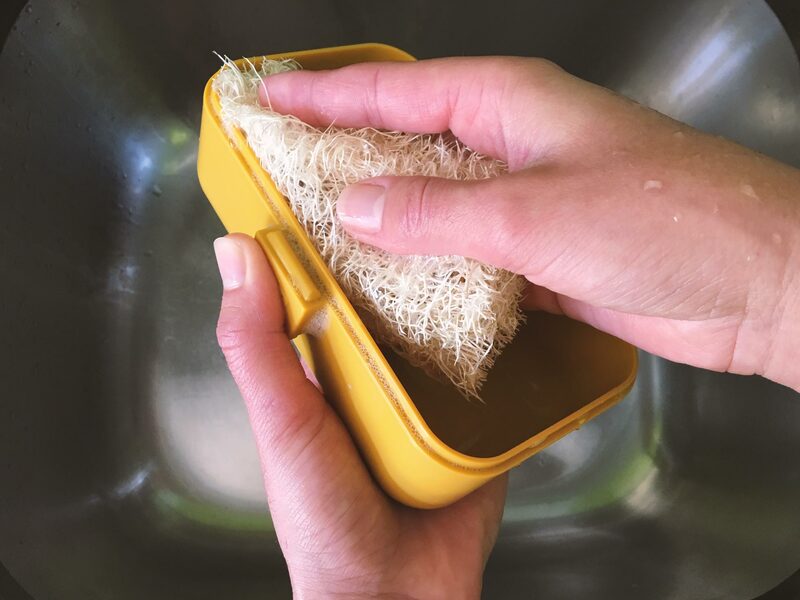 Their taking care is identical to the luffa sponges, only requiring you to clean them thoroughly after use and let it air dry completely. These two examples are from the brand Ecodis – a french brand that designs and produces ecological products for both personal and household use. One of the main goals of Ecodis is to help pave the way for a zero waste lifestyle for their customers and consumers. Their products are made to last, therefore reusable, biodegradable and free of unnecessary packaging. In Portugal, they can be acquired for example, here at CírculoBio or Mindthetrash.